The sirens were mythological creatures who sang so irresistibly that they lured sailors to their deaths on the nearby rocks. That’s more or less what happened to me with this recipe, other than the ‘rocky death’ part. I had a vision of the dessert I wanted to make. It would be a recreation of raspberry cheesecake in ice cream form. It would burst with fresh raspberries; it would be studded with chunks of cream cheese; it would offer thick bands of cookie butter to replace a graham cracker crust. And it had to be created without an ice cream maker, since I’ve never trusted myself enough to own one. 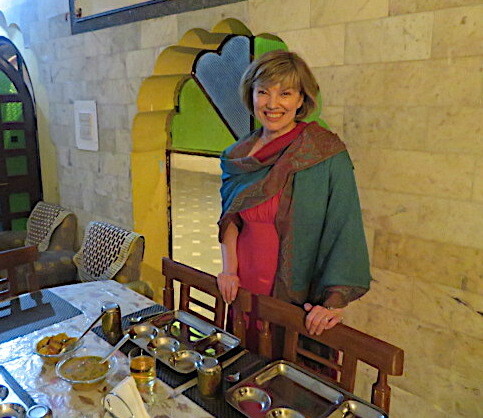 I searched all my cookbooks. I searched high and low online. Such a recipe did not exist. I tried to put the idea out of my mind, but it continued to tantalize me. The sirens kept singing. I persevered, and found a few recipes that offered fragments of what I was looking for. I combined those elements in my kitchen and crossed my fingers. Would the recipe enchant me like a lovestruck sailor, or would it turn into a shipwreck? I’m happy to say that this Raspberry Cheesecake Ice Cream surpassed my dreams. The disparate elements worked together harmoniously, with the richness of the ice cream being tamed by swirls of tart raspberries and dollops of tangy cream cheese. The gingery cookie butter sent the dessert into realms of Elysian glory. Try it and see if you won’t be bewitched too. To make the ice cream, beat the cream cheese until soft and fluffy, then slowly beat in the condensed milk until smooth. Beat in zest and vanilla. Pour into a bowl lined with plastic wrap, and freeze for at least 6 to 8 hours, until firm. Meanwhile, spread the cookie butter on a sheet of parchment paper, shaping it into a 9″ x 7″ rectangle. Place the parchment paper on a baking sheet and set it in the freezer until the cookie butter is stiff, at least 2 hours. To make the raspberry sauce, smash the raspberries a bit and combine them with the sugar and vodka. Store in the fridge until the ice cream is ready. When the ice cream is firm, remove both it and the cookie butter from the freezer. Line a loaf pan with plastic wrap and scoop about one quarter of the ice cream into the pan, spreading it as smoothly as possible. Tear about half the frozen cookie butter into pieces and lay them across the ice cream. (You’ll have to move fairly quickly with the cookie butter as it softens quickly. Return it to the freezer between steps if you like.) Spread another one quarter of the ice cream on top and pour about half the raspberry mixture on top. Repeat, to use all the ingredients. Return the finished dessert to the freezer until ready to eat. You may wish to remove it 5 minutes before serving to let it soften a little. Now this is something ,u entire family will eat. I never would have though of adding a shot of vodka. This is the kind of carbohydrate that I would totally love! Definitely worth all of the calories. Awesome that you were brave enough to combine ideas to create your own. It looks delicious. Yay!! I'm so glad to see it worked out. I'm pretty entranced by this now also…better get my ice cream maker ready! Good for you! I love it when an idea comes together and I must say – your idea looks pretty delicious 🙂 Hope you had a wonderful 4th! Ha! Let me know if you like it, Kayte. I loved this one. And Jemi, maybe I should have explained what cookie butter is in the post. It's a spread with the same consistency as peanut butter, but instead of being peanut-flavoured it tastes like cookie spices (ginger and cinnamon). It hasn't been available in Canada very long, but I found it at Loblaws. It's so fun to create your own recipes, especially when they turn out. But you should get an ice cream maker. Cuisinart makes reasonable ones that make really good ice cream! Looks delicious! We've been hooked on raspberry gelato lately. Cookie butter sound divine. Hope you are having a good Monday. Hugs! Your dream dessert sound super yummy! Sure glad you persevered! This look stunning Beth ! Beth, I'm so glad the sirens wouldn't stop singing! This ice cream looks sensational. What a creative flavor and it just looks so good!! What a delicious creation! 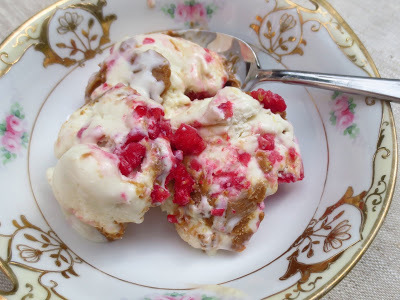 The pretty raspberries look great swirled through the ice cream. Wonderful idea! Raspberry cheesecake ice cream sounds perfect! I love all the ice cream recipes out now! This would be perfect for the fall raspberry harvest which is looking very promising now (knock wood). OMG! I totally crave this dessert! Love ice cream so much! Good for you, Beth! It looks fabulous. Something about cheesecake in an ice cream is so tantalizing! This looks and sounds fantastic, Beth! 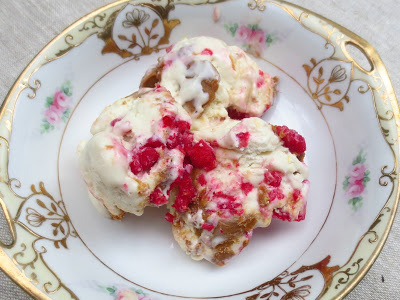 Cheesy raspberry Ice cream….wow! Can it get any better? I don’t think so! Mouthwatering! Hi Beth, this is summer……love it!!! We have an ice cream maker, but always go the no-churn route too — it's so much easier. Haven't tried these sorts of add-ins. But we will! Love the flavors (and looks) of this. Thanks! It's 87 degrees out and I'm melting. I tried to pull the ice cream towards me and it insisted on remaining on the screen. Just refreshing, delicious and yes – bookmarking to try.